Wow, what a week! 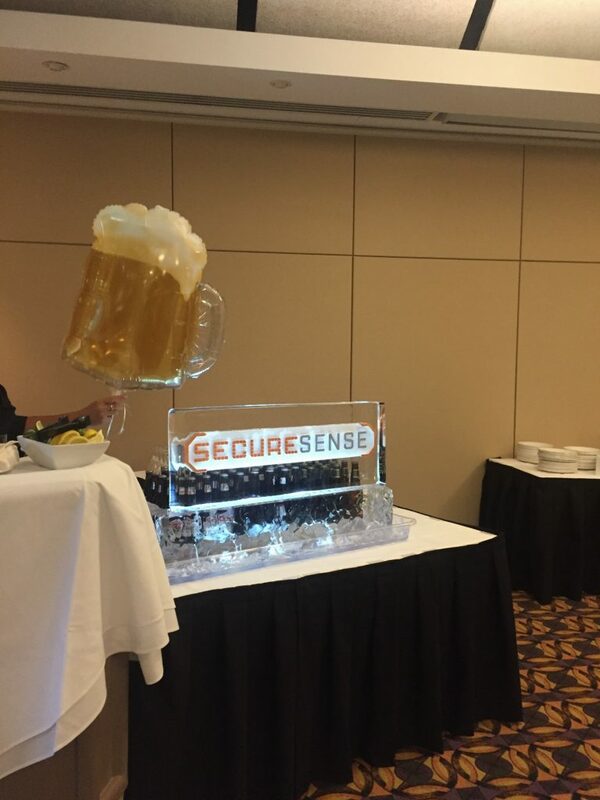 Camp Secure Sense has come and gone and reflecting back this was one fantastic group of customers and sponsors that attended. We’ve said it before, and we will say it again, without you there would be no Camp Secure Sense. Thank you from the bottom of our hearts for making this event such a success! Day one started with a bang. Kicked off by our Director of Sales, Kerri, followed by our CEO Peter, who led the group through a high-level Secure Sense update. From there, our guests headed to the first presentations of Camp, Nutanix, Blackberry, and Symantec. Hats off to the two Nutanix customers that assisted in their presentation, delivering a talk on the ease of use of Nutanix. 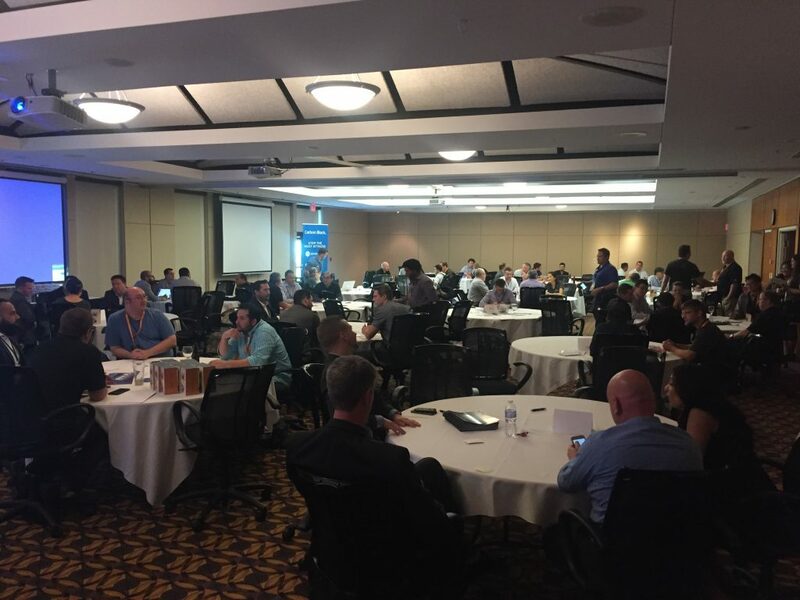 Taking a small (but effective) break at lunch, guests were welcomed in Grand Room A+B for lunch and a keynote delivered by Rafi of Fortinet who captivated the audience with his presentation on their Security Fabric. From there, the day took off with an afternoon of educational sessions and demos. 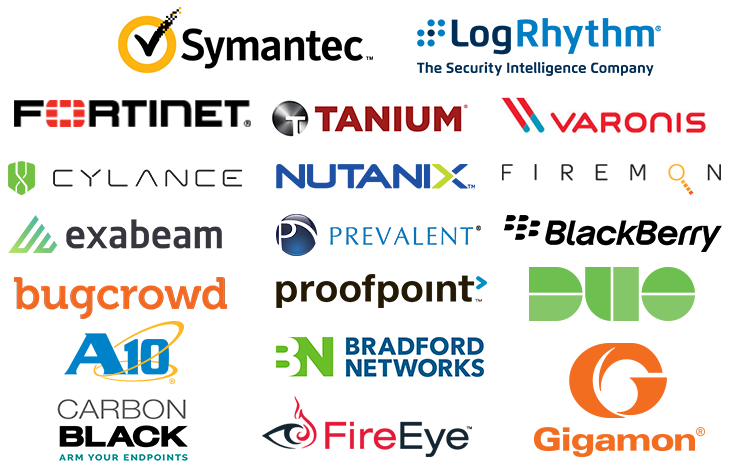 Thank you to our presenters on Day 1 that made Camp so valuable, Gigamon, Tanium, Blackberry, LogRhythm, Prevalent, Duo Security, Firemon, and Symantec. Our networking activities began with Camp’s first ever Solution Speed Dating, which was an absolute hit! Our guests and sponsors liked speed dating for the direct, straightforward and get-to-the-point aspect. Participants made their way through the room stopping at each table for 3 minutes. Once the 3 minutes was up, they collected a ‘magic word’ once all words were collected their name was added to the draw for a prize! Needless to say, Solution Speed Dating will be returning at next year’s event. Thanks to Exabeam for providing the much-needed beer at their table, and for LogRhythm for handing out branded beer glasses (can you guess the theme here?). Once speed dating wrapped up, guests and sponsors were invited to our annual cocktail reception, where a variety of appetizers, wine, beer, and spirits were served. The cocktail reception allows all our guests, Secure Sense, customers and sponsors to interact and engage informally. This was a great time to relax and enjoy the atmosphere of Camp while indulging in some delicious food and beverage! Finally, it’s time to eat (dinner that is!). Everyone was welcomed in Kingbridge’s stunning auditorium for the much anticipated Symantec keynote, delivered by VP Ajay Sood. Here’s a look at his presentation below! The remainder of the evening was reserved for FUN! And fun we had. Between the Scotch/Whisky tasting by the infamous Stuart Brown, Canada’s Original Dueling Pianos duet, branded ice bar and open bar there were all the ingredients for a fantastic evening. Music was sung, cigars were smoked and drinks were consumed! Slow start, nonetheless. 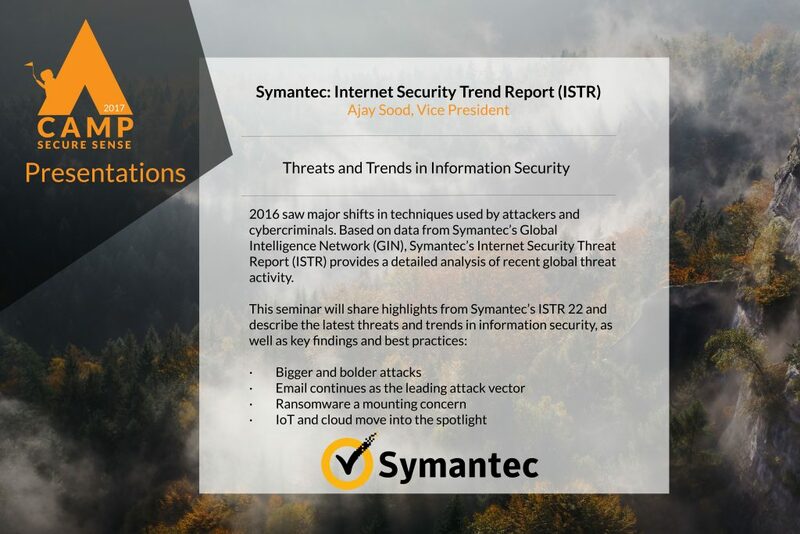 After a slight push in the schedule, we kicked off the first set of presentations, Cylance and FireMon around 9:00 am. These presentations were enjoyed after a big breakfast and an even bigger cup of coffee. From there, it was smooth sailing. 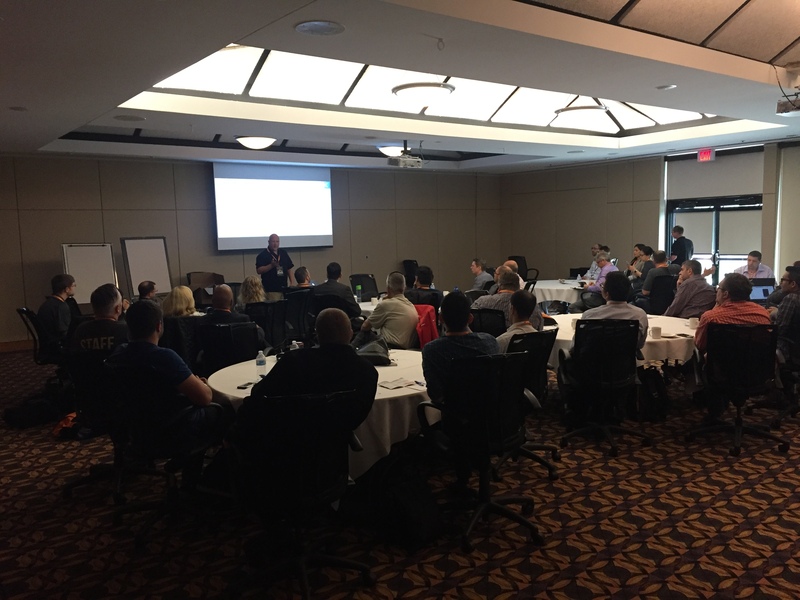 Guests enjoyed a morning of educational sessions delivered by sponsors, Varonis, Proofpoint, Exabeam, Carbon Black, LogRhythm, A10, BugCrowd, and Fortinet. Awesome presentations by all. If you’re interested in learning more on what was presented reach out here. Lunch on day two was a delicious array of sandwiches, salads, and soup! During lunch, we wrapped things up with vendor prizes and thank yous! 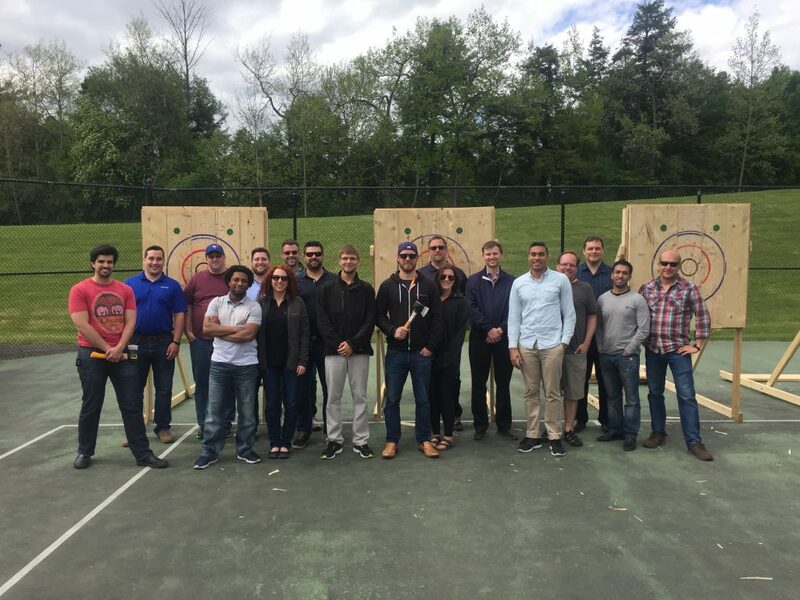 And to finally and officially wrap up Camp Secure Sense our guests split up to golf at St. Andrew’s Valley in Aurora, or ax throw at the venue! Both activities were a hit! Huge shout out to The Kingbridge Centre for providing an incredible venue and friendly, professional staff willing to help at any request. Your team’s dedication to hospitality made our event run smooth, and we sincerely thank you for all the hard work! If you’re looking for a venue to host an event, please consider The Kingbridge Centre. Beautiful, convenient location, delicious food, and friendly staff. You can check them out here. Thank you to all our speakers and sponsors, who delivered presentations and demos. Your sessions drove interest from day 1, and you certainly delivered when it came to presentation time. Thank you for our entertainment at the networking party! Stuart Brown of the Scotch Experience is incredibly knowledgeable when it comes to scotch, and led our guests through a scotch experience for the past two years. Check him out here. Canada’s original dueling pianos duet led the music for the night, and certainly the entertainment. 10/10 we would recommend both entertainers! Thank you to St. Andrew’s Valley for hosting our big group, and BatlGrounds Toronto for putting on such a great show! Until next year, Camp Secure Sense.